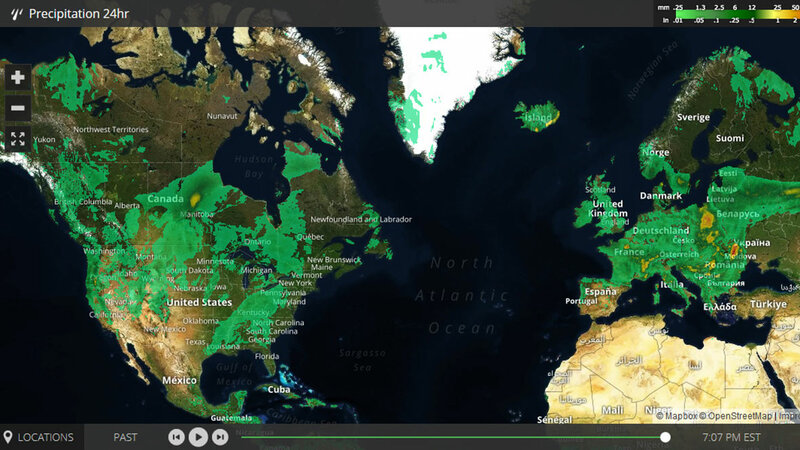 Includes one of the highest-resolution weather observation networks that is available in the field based on more than 250,000 personal weather stations in addition to traditional sources. Provides a comprehensive view of the anticipated temperature and precipitation patterns for 3- to 5-weeks, 1- to 4-months, and now 5- to 7-months. Forecasts real-time and trailing estimates of severe weather data, such as near-term hail and lightning predictions, power disruption index, 15-day tropical forecasts, and storm reports. Helps organizations use weather events to better serve their customers, including health-related indices such as air quality, pollen, flu outbreak, aches and pains, and other lifestyle indices.